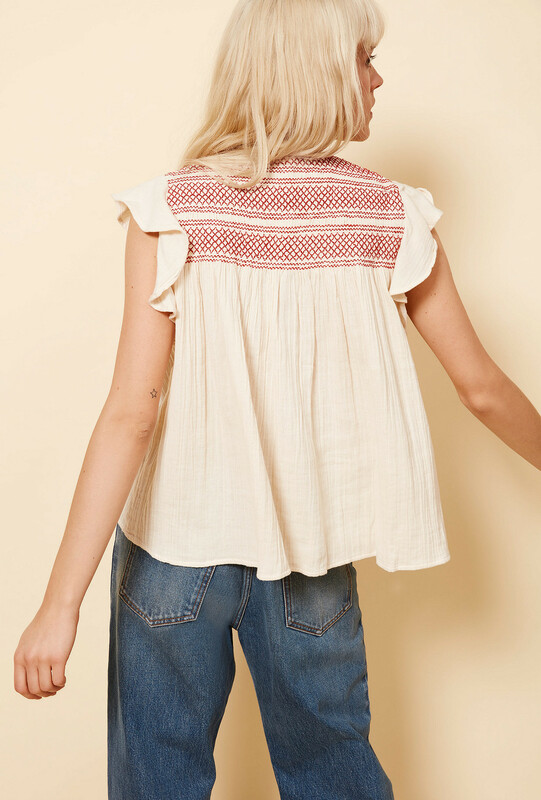 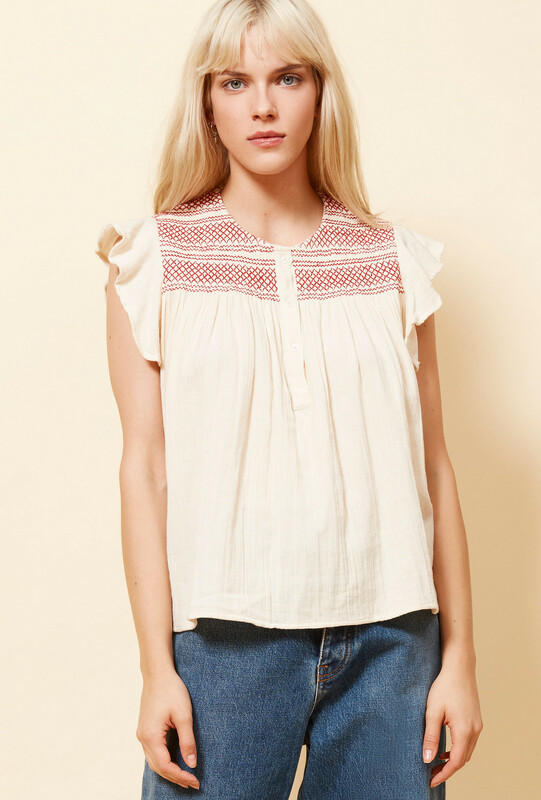 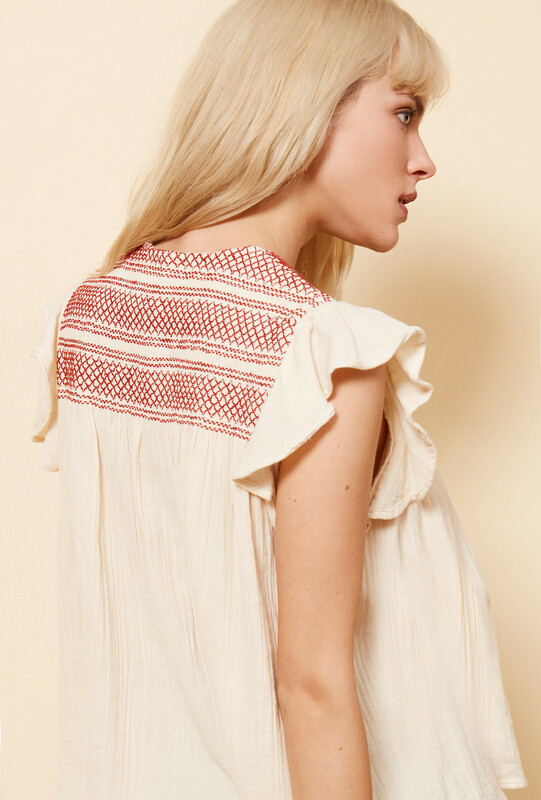 This sleeveless cotton blouse has an embroidered insert that adds contrast to the top. 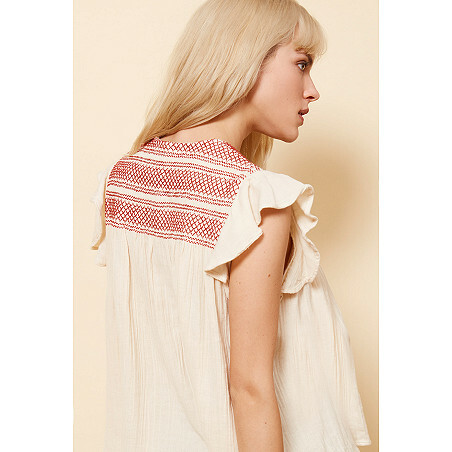 It is adorned with flounces that embellish the armholes. 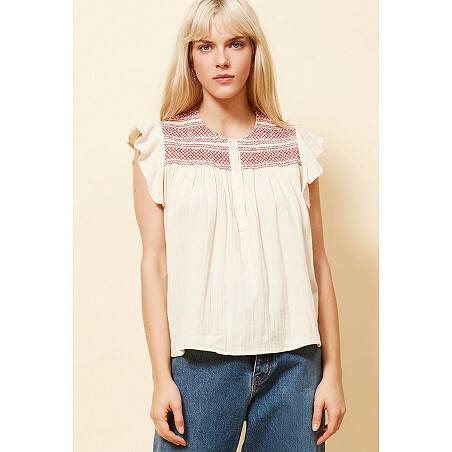 Its rounded collar is adorned with a button placket. 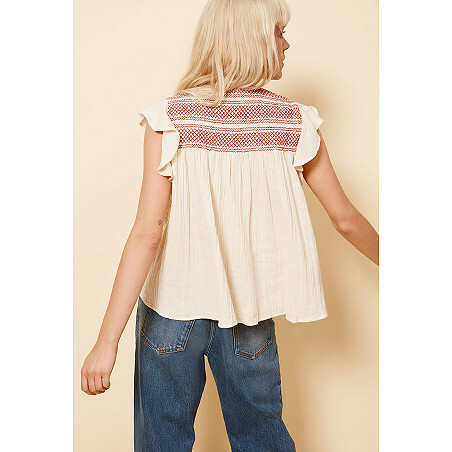 Its flared cut at the bottom will adapt to every body type.